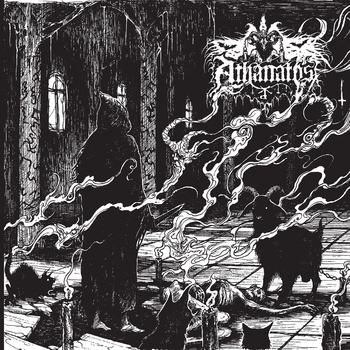 Athanatos recently emerged from the storied Chilean underground with this 2014 demo, “Unholy Union,” which was previously released on cassette format by Iron Bonehead Productions. The band’s foundational pedigree is strongly rooted in South America’s rich history of unbridled deathrash from the late 1980s and early 1990s. 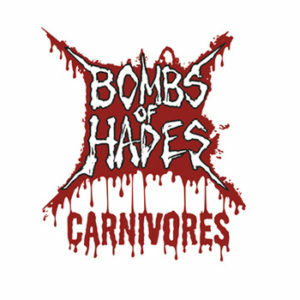 In particular, the drummer, Hateaxes Command, has been actively involved in various regional bands for over twenty years. Most notably, he served as percussionist on all three of Totten Korps’s early demos and their 1992 EP, “Our Almighty Lords.” Additionally, he joined Atomic Aggressor in 1991, in time to record their third demo, “Resurrection.” However, Athanatos was not formed to merely emulate their historic roots, which oftentimes results in a failed attempt to recapture an ancient sound firmly embedded in the moment. 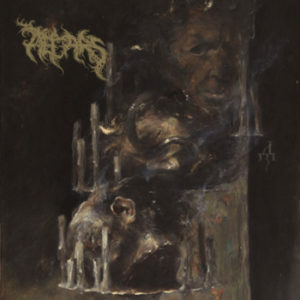 Instead, they have added elements of more modern black/death metal to augment their sound, thus creating a blend that is both true to their heritage and unique at the same time. The riffing, as executed by Imperator Gzophus (guitars / vocals), is at times heavy and percussive, while at other times frenzied and serpentine, occasionally punctuated by judiciously-placed (but not overdone) use of pinch harmonics and tremolo-bar flourishes. As a sum of its parts, “Unholy Union” ultimately succeeds in its attempt to update a sound steeped in tradition.